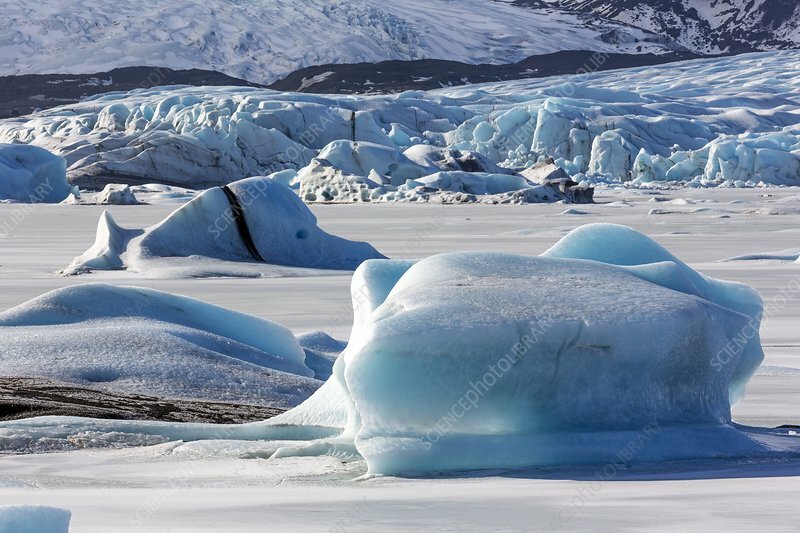 Blue icebergs are floating tin the proglacial lake in front of Fjallsjokull in southern Iceland. The lake is still frozen over in late March. One iceberg has an embedded dark band of volcanic ash.